We are pleased to announce the launch of the Michigan Alzheimer’s Disease Center 2019 Pilot Project Program competition. Click on the link below to view more information. 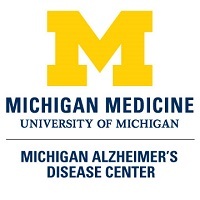 The Michigan Alzheimer’s Disease Center (MADC) announces the availability of “kick starter” research pilot project funds ($35,000 in direct costs) to investigators at University of Michigan (U-M), Michigan State University (MSU), Wayne State University (WSU), and Veteran Affairs Ann Arbor Health System (VAAAHS) to test new ideas about the causes and treatment of dementing disorders. The MADC invites members of the scientific community from these partner institutions to submit applications for pilot project funding. Application deadline is 4 pm on January 14, 2019. The MADC is committed to funding at least two pilot projects. The MADC and the U-M Claude D. Pepper Older Americans Independence Center are observing the same deadline for research pilot applications. Should a promising application address research issues shared by both centers, the two centers will consider joint funding of the project. As we seek to understand and cure Alzheimer’ disease (AD) and related dementias, the MADC considers it among our highest priorities to support innovative, high impact research. The MADC Pilot Project Program is partially supported by the NIH-funded Alzheimer’s Disease Center (ADC) linking the University of Michigan, Michigan State University and Wayne State University. The ADC’s central theme focuses on identifying, understanding and modulating the numerous non-β-amyloid factors that contribute to brain dysfunction and neurodegeneration. We encourage investigators at all levels to apply and to contact MADC staff for guidance with the application process. MADC faculty and staff will also be available to assist you with grant development. Applications received from junior investigators, established investigators new to Alzheimer’s disease or dementia research, and investigators who have not previously received pilot project funding through the MADC, will be looked upon most favorably. Emphasis will also be given to projects that link researchers from multiple fields and across the Universities. Applications should be no more than three pages in length, and describe research commensurate with a one-year award. Reviewers will rank proposals based on their potential significance and impact, investigator and investigative team, research plan, likelihood of leading to future NIH or private foundation funding, relevance to AD and related dementias, and relevance to the MADC’s thematic focus on non-β-amyloid factors. Applicants will be notified of the funding decision by the end of May, 2019, with funding available by July 1, 2019. Successful applicants will be required to provide a six-month progress report and a final end-of-year report and presentation to the MADC Executive Committee. Awardees will present their study findings at the annual MADC Research Symposium, typically held in June. At the end of the funding period or soon after, the MADC is looking to see one or more publications as a result of the pilot project, and/or continued funding in the form of a new R01 or equivalent grant. The award can be used for the direct support of salary and/or supplies (no indirect support is allowed). No tuition support is available. Equipment in excess of $5000 needs special justification and is generally not encouraged. Three page proposals should include a specific aims section. An abstract, budget and budget justification, biosketch in current NIH format, and Other Support/Supplemental document are also required. A checklist with further details and document templates are provided in the Competition Space. The proposal and all requested documents should be uploaded as a single PDF with your name included in the filename. Note: Any project involving animal or human samples must provide proof of IACUC or IRB approval prior to initiation of the project. If this is not obtained within 60 days of the funding date for the project, funding will be withdrawn. For those projects involving study participants, an NIH PHS Inclusion Enrollment Report must be included.